Our Hostels are divided separately according to the age group of Junior and senior wing. In addition to that there are separate hostels exclusively for girls and boys located at a distance. Male members are strictly forbidden to enter the girls’ dormitories/campus. Each dormitory is looked after by a Hall-Master/Hall-Mistress. A Matron/Warden is overall in-charge of the linen department of the Hostels. For the junior section Ayahs/Maids are there to take care of the children in the dormitories. The dormitories are spacious, well ventilated, and safe with AC provisions and are well equipped with comfortable beds and clean toilet facilities with 24 hours running water. The school also has provisions of CCTV cameras and other effective security apparatus in place for ensuring security of all its residents. Recreational and educational facilities also make the hostels ideal for holistic development of the pupils. Daily laundry facility and 24x7 medical provisions are also provided. The pupils of the school are divided into two Houses (namely, Teesta and Vaigai; named after the famous rivers of India) for Inter-House competitions and events. Each House is under the care a Housemaster/Housemistress who is assisted by several teachers (called Mentors/Tutors) attached to the House. Each mentor plays the role of 'loco-parentis' of only about 8 to 10 pupils and discharges the responsibilitiesof implementing the pastoral care provisions of the school effectively so as to ensure safety-security, health-hygiene, academic, emotional growth and all round development of the pupils. The Matron provides the very essential 'motherly touch' to the children. Close monitoring, individual attention to the emotional needs of the pupils, regular mentoring and guidance are the hallmarks of Pastoral Governance at Father LeBlond School. 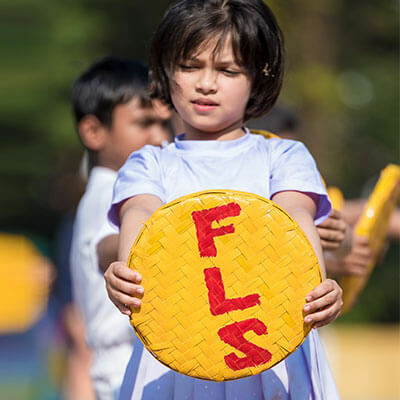 With a world class Teacher-Student ratio of 1:6, the Pastoral Governance at FLS is very effective and efficient. The Mentors play the very significant role of loco-parentis and take care of the interests of the children under their care. The mentors and the children share a very close relationship and strong bind between themselves. Great importance is also attached to the learning of mannerism and etiquette with an international outlook. Very high level of appropriate behaviour by pupils and respect for the School’s Code of Conduct speak volume about the quality of upbringing of the children here at FLS. Healthy House Spirit and congenial relationship between senior and junior pupils also ensure safety, security and natural growth of personality of each child. Due care is taken to protect the legitimate rights of each child. NO CORPORAL PUNISHMENT by anybody – The School practices a “Zero Tolerance Policy” on the subject of Corporal Punishment. Boarder pupils of the school are allowed to bring their personal mobile phones of ordinary category (without Internet and Camera Facility) and chargers. The mobile phones and chargers are kept under the custody of the mentors. The pupils are given with the phones on Sundays for 20 minutes only, to speak to their parents and guardians. While the mentors do not encroach into the privacy of the communications, they do keep a close track of the calls made and/or received so as to ensure that the children do not misuse the facilities.